This fall, the ba&sh woman is traveling from Paris to London and we'd recognize her anywhere! ba&sh spotted Claire Laffut, the newest up and coming French musical revelation. We fell in love with this fresh, free-spirited, creative Parisian girl who embodies the ba&sh spirit like no one else. In collaboration with Jack, the coolest musical channel in France, we followed Claire for a day around Paris! A glampse at her style, her life and her favourite ba&sh looks. A new take on the Parisian Allure, très ba&sh! 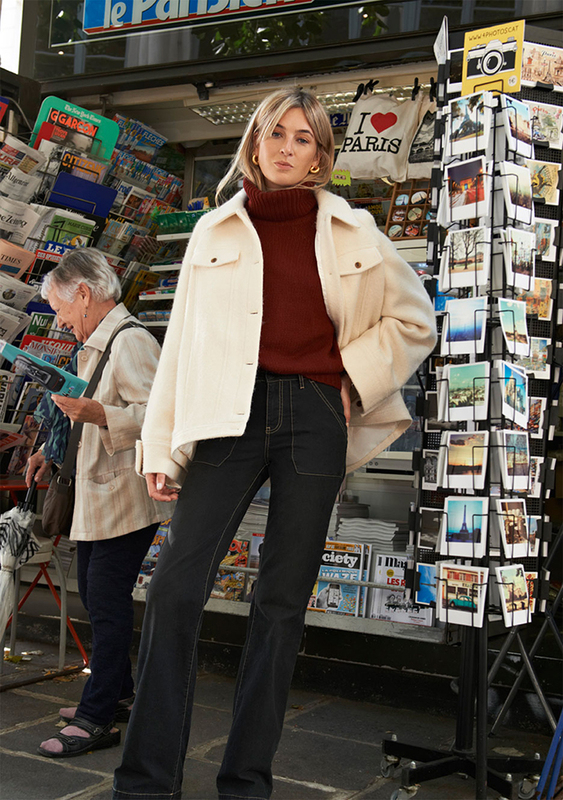 It’s that most Parisian of Londoners, Camille Charrière, welcome! Part of the closed circle of fashion’s super-influencers, she strikes a pose. With pieces she has picked out herself at ba&sh, she embodies her own take on the Parisian girl. The girl who turns heads and knows better than anyone how to create looks which are simple, natural, chic, cool…well, everything really! ba&sh loves this girl. 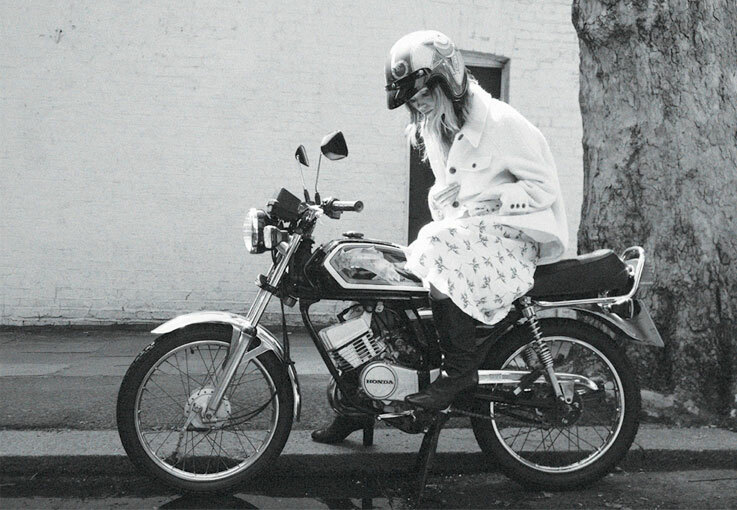 She’s free-spirited, stylish and laid-back all at once. In other words, a true Parisian. French do it better. Apart from style, what else do the French do better? I think the French have mastered the art of living: enjoying the easiest and most rewarding things from life, without needing to spend copious amounts of money. Good food, good wine, a trip to the cinema, a good book on the terrace, eating with friends... everything feels simpler in France. What is your French guilty pleasure? Baguette and Comté, all day every day. Describe your perfect day in Paris? Croissant and coffee on a terrace for breakfast, then a stroll, perhaps to pick up a nice bunch of flowers to decorate my place for the wee. Followed by an easy lunch with friends at Cafe de la Poste that we walk off at Musee Picasso. And then lying in a park until dinner, where we find another terrace and sit there drinking wine and getting more friends to join until we get kicked out and end up going for a boogie at Hotel Bourbon. How do you take Parisian style with you when you travel ? I love the idea of always being the least dressed up person in a room, but standing out all the same simply because the details that make up my outfit are simple, unique and interesting. What does «French dressing» mean to you ? It’s the idea of building your wardrobe around hard working pieces that become your signature and only dipping into trends when they really work for you. Behind this philosophy is the idea that women have better things to do than always worry about their outfit, so you rotate on fewer, killer pieces that always make you look great. She loves monochrome but with a twist; she gravitates towards soft, cool shades and complementary yet contrasting fabrics... a light, printed dress with chunky leather boots and an oversized denim jacket. She’s always in a hurry but always smiling. And, she is always free. For her, there are no rules to follow except to create her own style. She dares to blend fabrics like mohair and cotton gabardine. She creates a new urban chic. Her CLEDER trench coat is her ultimate French touch: timeless, mysterious, simply chic. Worn with trousers or a dress, it's every Parisian girl's charming trump card... we like to say, the trench coat makes the magic happen!